Georgian Revival. 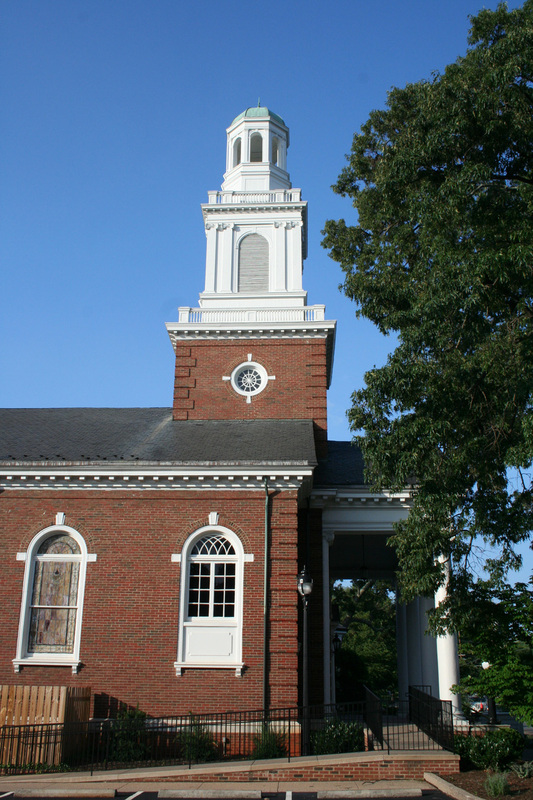 Tall, 2-story, gable-roofed brick Georgian Colonial-style church with pedimented portico with Ionic columns. 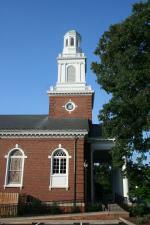 Georgian brick and wood steeple rises to a domed cupola. Door has elaborate classical surround. 2-story, 5-bay wing is on the east. The educational wing was built in 1952 and the polygonal reception center was added in 1991.